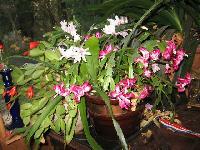 Christmas Cactus have a much less pronounced claw on the edges of the leaf segments than Thanksgiving Cactus. 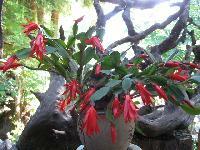 Most Christmas Cactus sold today are hybrids of the original, red flowering Schlumbergera buckleyi. Flowers may be pink, red, orange, white or lavender. 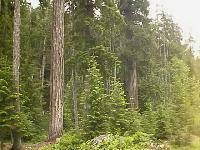 Living trees can only be kept indoors for ten days. Keep in a garage or unheated area for a few days before bringing indoors, to lessen shock. Keep out of direct sunlight, and away from heat sources. Avoid heat producing lights. Keep soil moist. Cobra Lilies like bright light but not direct sunlight. 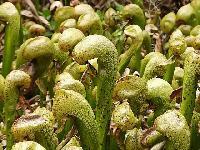 They should be grown in live sphagnum moss, but can be grown in a mix of peat moss and perlite. Keep potting mix constantly wet. Can withstand temperatures from 32degree to 100degree. Grow best in filtered sunlight at 65degree nights, 75degree days. Plant in fast draining potting soil . Keep soil moist, but never soggy. Feed every 2 weeks from Mar. to Oct. then monthly from Nov. thru Feb. with soluble, 10 10 10 fertilizer. Hardy in zones 10 12. Crotons are tender perennial plants that will grow to three feet tall or more. 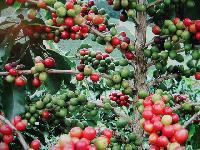 They are most often grown as house plants or in a greenhouse environment. 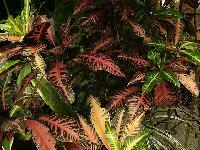 Their thick, glossy foliage is brightly colored in combinations and shades of red, yellow, pink, orange, burgundy, bronze or green. 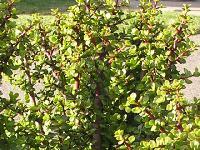 Tree like plant that is tolerant of lower light but appreciates bright, indirect light. Allow to dry slightly between waterings. Sensitive to fluoride, so allow water to set for 24 hours before watering. Propagate by air layering or cuttings. 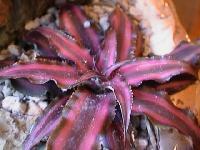 Rosette forming, epiphytic Bromeliad from Brazil will grow to 12inch. Needs bright light but no direct sun and high humidity. Should be planted in a potting mix containing sphagnum moss or peat. Susceptible to mealy bugs and scale insects. The 2inch leaf segments of the Easter Cactus are oval and smooth edged.Short tufts of brown hair often appear at the segment joints.The long blooming flowers of the Easter Cactus are bright red. Prefers a bright window, with daytime temperatures of 60degree 65degree, well drained soil which is kept moderately moist. Avoid over watering. 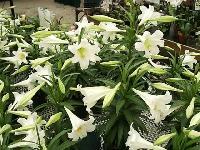 When the soil temperatures have warmed sufficiently (June), you can transplant your lily outdoors.